Here is a list of providers within the Clearwater, Florida area. They are primarily hospital-based programs. Most hospital-based programs accept Medicare, Medicaid, state-funded and private insurance. In general they do medical detox. Most offer some other level of care, such as Intensive Outpatient (IOP) and /or Partial Hospitalization Programs (PHP). Their staff is very helpful and knowledgeable. If you need help finding a residential program, call us and we can assist you. There is more than one type of program for substance abuse. The “30 day” inpatient type of a facility is the most intense and suggested for people with chronic addiction problems. Call us for detailed information about the various levels in the “continuum of care”. There are 4 levels of treatment care. Each provides a different level and type of service. Detoxification from alcohol and any mood altering chemicals is the first phase of treatment. Detox MUST be done under the medical supervision of a licensed MD. Today, there are state-of-the-art medications available to ease and minimize the cravings and effects of withdrawal. There is a possibility withdrawal may cause a severe reaction, resulting in the “Delirium Tremors” (DTs). If someone does go into the DTs, there is a 30% chance it will be fatal. An outpatient facility offers similar services as partial day and inpatient except clients do not stay at the facility overnight. Intensive outpatient (IOP) generally offers 1 hour of treatment 3 days a week. Group therapy includes skills training, relapse prevention, cognitive behavioral therapy (CBT), dialectical behavior therapy (DBT) and motivational enhancement therapy (MET). A qualified addiction specialist, trained in the various therapies, leads the sessions. The difference between Outpatient and Intensive Outpatient is how many times per week a client is required to attend. Partial Hospital Programs (PHP), is also known as “day treatment”. It is a more intensive level of care than outpatient. It provides a half day of therapy 5 times per week. Clients do not stay overnight while being provided therapy and care. This level fills the need of some individuals who need daily treatment, but are unable to attend full-time inpatient residential. PHP provides virtually all the same types of therapy as outpatient on a more intense and regular basis. Residential inpatient programs are a type of therapy where the individual lives in the center and receives rehabilitation over a course of several weeks or months. These live-in facilities specialize in expert care for chemical dependency, alcoholism, as well any underlying psychological problems. 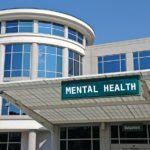 Because almost half of all people suffering from substance abuse are also suffering from a co-existing mental health condition, many facilities offer some type of dual therapy that addresses both.